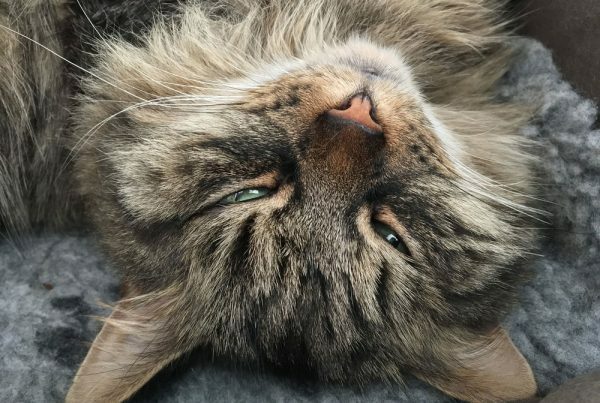 If you’re like most cat owners chances are you have more than one cat or aspire to get another one at some point, so you’re not alone in your quest to give your Siberian a new friend. However, there’s surely one important nagging thought on your mind: will they get along? 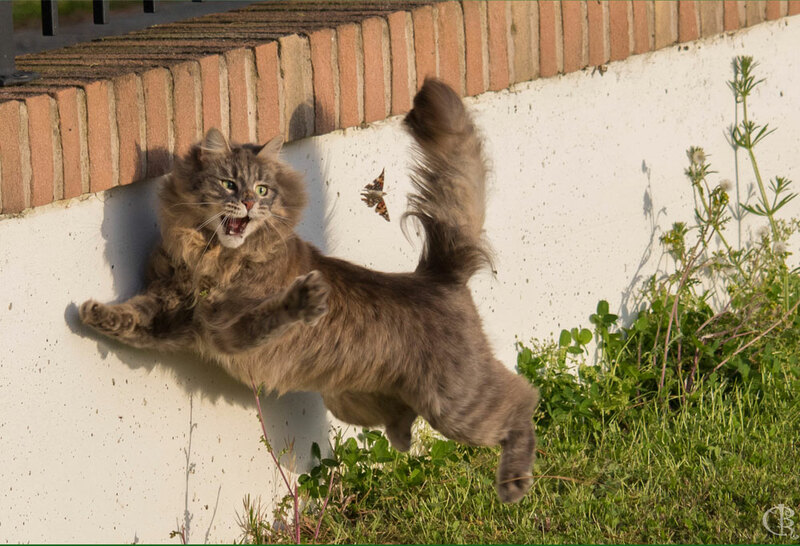 Not all cat introductions work out, especially since cats are territorial and your resident cat is likely to be accustomed to having the run of the place. There are a few things you can do, though, to increase your odds of your new cat and resident Siberian becoming best buds. If you haven’t yet settled on any particular cat, keep in mind that personality and temperament are extremely important in creating a good match with your resident cat. Unlike dogs who fair better when pairing dominant with submissive personalities, cats don’t have the same clear hierarchy because they don’t naturally seek other cats in the wild or live in packs. Therefore, it’s better to find a cat who’s personality, temperament and energy levels match that of your current cat. 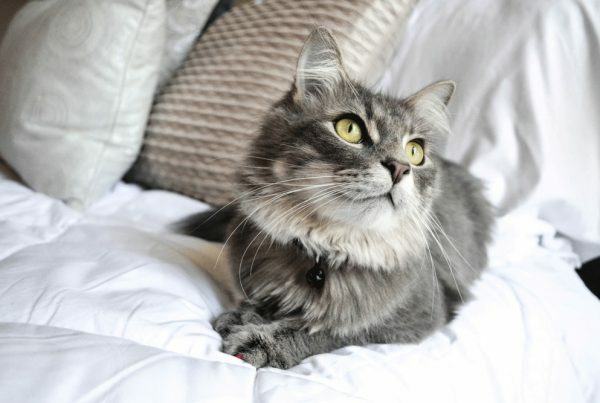 If your resident Siberian is playful and energetic, it might not be a good idea to get a calm, laid-back older cat. Likewise, if your Siberian is more passive and prefers catnaps over toy battles, then it may not bode well to get a kitten that sprints around the house and requires endless play. 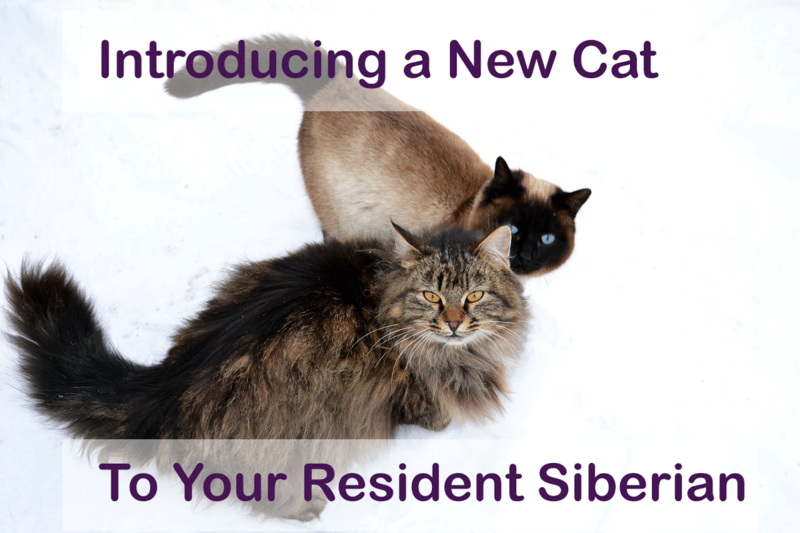 Keep in mind your resident Siberian is used to having full run of the place and bringing home a new cat constitutes a massive change for them. It’s essential to introduce both cats slowly to increase chances of acceptance. Keep each cat in a separate room or section of the house so they can’t see or touch each other, but they can smell and hear each other. For example, keep the new cat in a bedroom and let your resident Siberian have the rest of the house, each with there own toys, cat post, litter box, etc. 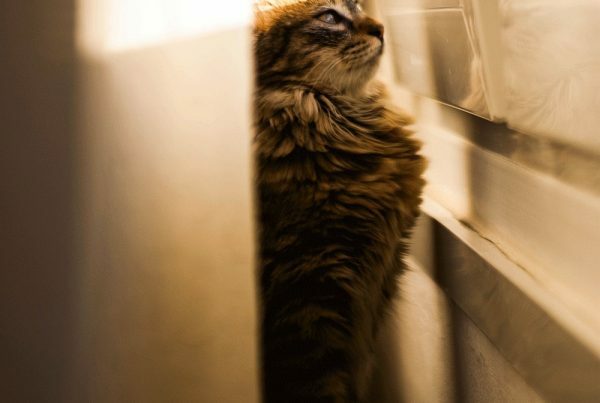 Feed both cats near the door that separates them, that way they are not only in close contact with one another, but they develop a positive association of the other cat with being fed. You can extend this positive association by giving each cat treats near the door as well. Cats rely a lot on their sense of smell, and familiar scents are less likely to be perceived as threatening as unfamiliar scents. Trade cat toys, cat posts, blankets, etc. so that each cat can get used to the other’s scent before finally meeting. You can even swap rooms with the cats, which has a dual purpose of introducing new scents and letting the new cat get used to all areas of the house without having to worry about meeting the resident cat yet. It’s not unusual at this point for there to be hissing or aggressive behavior; after all, the cats have just met each other and don’t yet know if the other is a threat. Be patient and understand it takes time to build familiarity. If the cats have shown no sign of aggression towards each other for about a week, you can let the cats finally see one another. Introduce the cats visually, either by holding one of them or creating a gate or barrier between them so they can’t make contact. Once again, you can always reinforce positive associations by feeding treats during this interaction. Give the cats ample time to hang out with one another without being able to touch each other. The amount of time you let them interact in this way is subjective and different for each situation; if the cats seem to be getting along really well and there are no signs of aggression, you may only need a few days before removing the physical barrier. If one or both are hissing, growling, hiding or showing any other signs of stress or aggression, you may need to continue in this way for a while. It’s finally time to let your new and resident cat spend quality time together – supervised of course. Keep a spray bottle to check any aggressive behavior and be ready to separate the two if things go awry. Chances are, though, if the cats got along while physically separated, they’ll likely be okay with one another, but it’s still possible that they may show hostility at times. Progressively increase their time spent together until they’ve had time to get used to one another. The complete introduction can take up to six months, so don’t be discouraged if your new cat and resident Siberian don’t fancy each other right away. Even if they do get to a point where they can accept each other’s company, it can take up to a year for cats to become fully comfortable and familiar with one another, so don’t be disappointed when they’re not best friends right away. Strong relationships take time, and the bond your cats will form is no exception.